Carnegie Corporation is proud to celebrate Great Teaching with our partner organizations and grantees! When I picture great teaching I see team work among students and teachers. This photo shows my 3rd grade class admiring their present from another 3rd grade class at a nearby school. 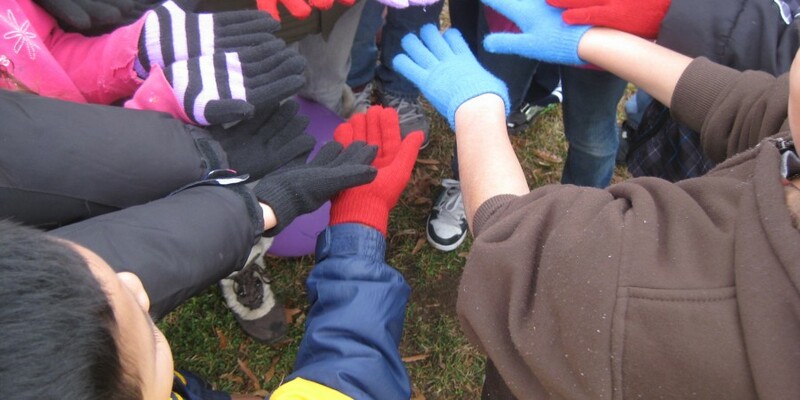 The teacher overheard me telling a parent that my students needed coats and gloves. She volunteered to have her students buy my class gloves and a book for Christmas. This particular gift brought such joy to my students.